Abena Asomaning- Antwi is a mother, wife, a Human Rights advocate, an entrepreneur. 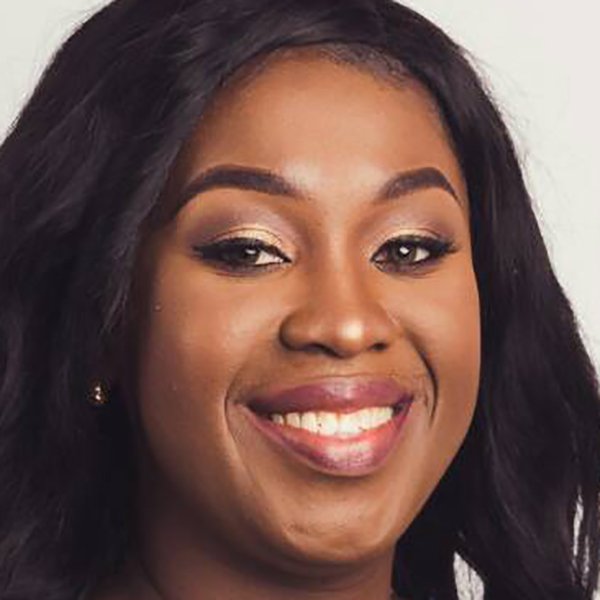 She is Founder of Angel-Zoe Foundation which supports the rehabilitation and reintegration of women and juvenile prison inmates and abused children in Ghana and Principal of GloCorp Consult, a service audit company based in Ghana. Abena has received several Awards for her work including MTN Heroes of Change Award 2013 (Advocacy), Ghana, National Young Achievers’ Award (2012), Ghana, Glitz Women of the Year Awards (2016) and recently The Points of Light award from Her Royal Majesty, the Queen of England given to unique individuals positively impacting their societies. Abena is a prolific writer and an internationally published Author. She serves on several Boards and is also a pineapple farmer. Huge congratulations on the award by the Queen of England for your work with the Angel-Zoe Foundation. What drove you to start the work you do? Three things propelled me – desperation, curiosity and inspiration. I had a personal setback in life at the time of starting which sent me on a path of self-evaluation and discovery. The outcome of that was that I desired to be more than I was in life – I wanted to be of service to other people, to my community. I got curious about a juvenile prison facility close to my work place – set out to find out what anybody…….what I could contribute to making the lives of the inmates there better. Finally, as a Christian, my conviction about working with prisoners was sealed when I read the Bible which directed me to ……‘treat those who are in prison as if you were in prison’. It’s funny but my initial reservations and fears melted with my first interaction with the first juvenile prisoner I was introduced to and the rest is history. What factors did you weigh up before going with this? I am naturally a fearless person but I am a ‘thinker’. I considered the fact that through research I had no such organization in Ghana to compare with or take inspiration from, also the fact that it was a novel idea. However, issues of incarceration in Ghana, Africa and elsewhere with the corresponding stigmatization were burdensome. I considered the issue of funding, the fact that I was going to have to invest personal resources in something that obviously couldn’t give me any significant return on investment. I have a business administration background so you can imagine my thoughts then. Finally, my biggest consideration was me – that despite all the potential set-backs, I am the greatest asset I possessed. My passion is unrivalled and I love to work hard so I set off believing that nothing else but my strong convictions mattered. You’re the focus on prisoners and what are the real risks you’ve faced in running your organization outside of having enough funding which is always an issue? I chose this target group because it was new and it challenged me to create different angles to addressing needs of the inmates but being a new area has had its challenges. Other issues of relevance include the risk of prisoners reoffending which drains all investment made in a prisoner, sometimes working with public officials has been difficult, the sheer magnitude of the work that is left undone and others. On a personal level, my heart has been broken by some ex-convicts who benefitted from my initiative and who I had hoped would be ‘ambassadors’ for the cause of promoting the welfare of others in the same category only to find out that they had reoffended and returned to prison. I have also fallen victim to some of the ex-convicts I have supported through theft. Your book “The Side we choose to see” features the stories of 12 women in prison. What would you say the most critical piece of feedback you’ve received from the prisoners about your work that makes your efforts so worthwhile? The first resounding response from them has been that Angel-Zoe Foundation represents hope to them. Their stories get heard by the outside world which attracts attention to the needs they have behind bars. Through my work, they also get their individual cases heard by the media and the members of the judicial system which sometimes, helps in getting their cases relooked at with potential for reduced sentences. Most critical is the point that the stories behind their incarceration end up serving as inspiration, lessons or better, deterrent to others in the free world. This is valuable, not to them alone but to society at large. My book serves as a relevant deterrent to young women especially. You are also a management consultant quite different from the Angel Zoe work. What advice would you give someone who has multiple interests but scared or uncomfortable with pursuing them? To such people, I will ask ‘what is there to fear?’ Failure? If you are a positive person, educated and multi-talented, should fear itself not be afraid of you? I believe we are given many talents by our Maker because He knows our capabilities and hence if you have more than one capability, get on and use it. For me, I love the drive that being a business and management consultant gives me. With that aspect of my life, I must confess that I am driven to the hilt by working smart to make money, profits and using that to support my love-child, Angel-Zoe Foundation. Whilst I would advise not to spread yourself too thinly, I would also not advise that you get stuck on only one thing when you have multiple interests and talents. Get going and start, seek help when you need to and delegate as much as possible. You are clearly a role model. If you were to take a young woman under your wing, what would you want to see in them to warrant your mentoring? I would look out for passion, commonsense and discipline. Three characteristics I cherish very dearly. I am generally particular about the people I bring into my personal space because I am an intense person who does not believe in casual friendships or associations, so if I were to consider any potential mentee, I would expect that our relationship would linger on for years to come for greater impact. Entrepreneurship is gaining ground but many struggle with enterprises that focus on social issues because of the challenges of funding. What’s your resourcing model that ensures you have the minimum you need to get things done? Addressing social issues can be costly and because returns tend to be long in coming and sometimes not easy to quantify, seeking funding can be a challenge. It is compounded by the choice of thematic areas, especially if it does not fall within the usual ambit of most development partners but remains relevant. Apart from approaching the embassies and well-known development partners, I depend on the social capital I have built over the years. For specific projects, I call on my friends to support me during implementation. It’s usually a mixture of both financial and material support and I make the effort to account for and show proof of work done. I am also particular about networking which allows for gaining knowledge of what other people or organizations are doing so that strategic partnerships can be formed for each project to be undertaken. What do you think is the most significant barrier to female career advancement and what can women like you possibly do to ease the way for those coming up? I think the first barrier for young women is self-doubt followed up by technical know-how and then, financial support. All of these are sometimes compounded by social norms/demands placed on them. For instance, when young female graduates are encouraged to marry and start families due to the tick-tock of biological clocks. I believe women like me must hold the hands of the next generation on ‘a mentorpreneurship journey’ where ways of mentoring and coaching of how to manage both social and economic issues are addressed. For instance, although settling down and starting a family is important, I subscribe to young women building themselves up professionally and being financially and emotionally stable first before fulfilling those social norms. To me, of what use would an unemployed and depressed pregnant new bride be to her husband and community? Learning to make right choices about life can be passed on from one generation to the other, and we must all play a credible role. You are clearly an asset to your society. What do you value most about what you are? This is an interesting question. I value the very composite of me – my business savviness, my warm charitable self, my continuing intellectually-stimulating endeavours and finally and perhaps the most of all, my ability to continuously reinvent myself. There’s a saying I developed years ago and recite to myself whenever I stand in front of a mirror, I say to myself ‘I am a beautiful power house. I can surmount any challenge. I will not wait for any uncanny situation to define me, I will reinvent myself!’ In essence, I value the very amalgam of me, a mystery sometimes to even me because I remain tough, tender, tenacious, feeble, resilient, experienced and yet experiencing, simple yet sophisticated……..all of me. You’re doing a PHD now. What do you see for yourself and those you impact in the next 3 years? I am pursuing a PhD. in health economics. I have a few more months to go until I defend my dissertation which is on the Universal Health Coverage (UHC). I intend to work with the knowledge acquired to help develop further my continent and beyond through my research and writings, through seeking funding, through collaborations in support of initiatives that support the Sustainable Development Goals with both the private and public sectors. The people whose lives I have impacted and are yet to impact can only have a better version of me afterwards. The world is opened to me to explore following my PhD. And I promise you that you will hear of my exploits! (Ha ha).